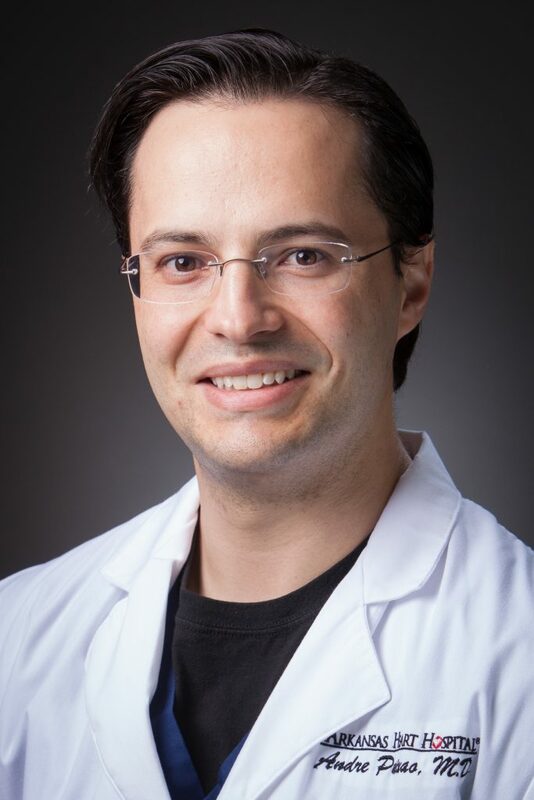 Dr. Andre Paixao is a cardiologist with expertise in preventive and interventional cardiology. Born in Brazil, Dr. Paixao completed his internal medicine residency at Georgetown University Hospital/Washington Hospital Center, followed by a cardiovascular disease fellowship at the University of Texas Southwestern Medical Center. He went on to pursue interventional cardiology training at the prestigious Andreas Gruentzig Cardiovascular Center at Emory University. Dr. Paixao is a renowned researcher and has been published in the highest-tier medical journals such as the New England Journal of Medicine and the Journal of the American Medical Association. He has a very active academic career as Adjunct Faculty at UAMS, member of the National Cardiovascular Registry Data Registry Research & Publications Committee, and leadership positions in many ongoing research studies. His areas of interest include the prevention and treatment of cardiovascular disease, and he performs a wide variety of minimally invasive procedures designed to treat arteries in the heart and legs, as well as valvular heart disease. Dr. Paixao is the proud father of three children and spends his free time with his wife, son and twin daughters. In addition to seeing patients in the Little Rock clinic, Dr. Paixao offers satellite clinics in Hot Springs, DeQueen and Nashville.